. :: ASK DR. OZ FOR HORSES! ::. >> ASK DR. OZ FOR HORSES! Ask Dr. Emir Chaher, or ‘Dr. 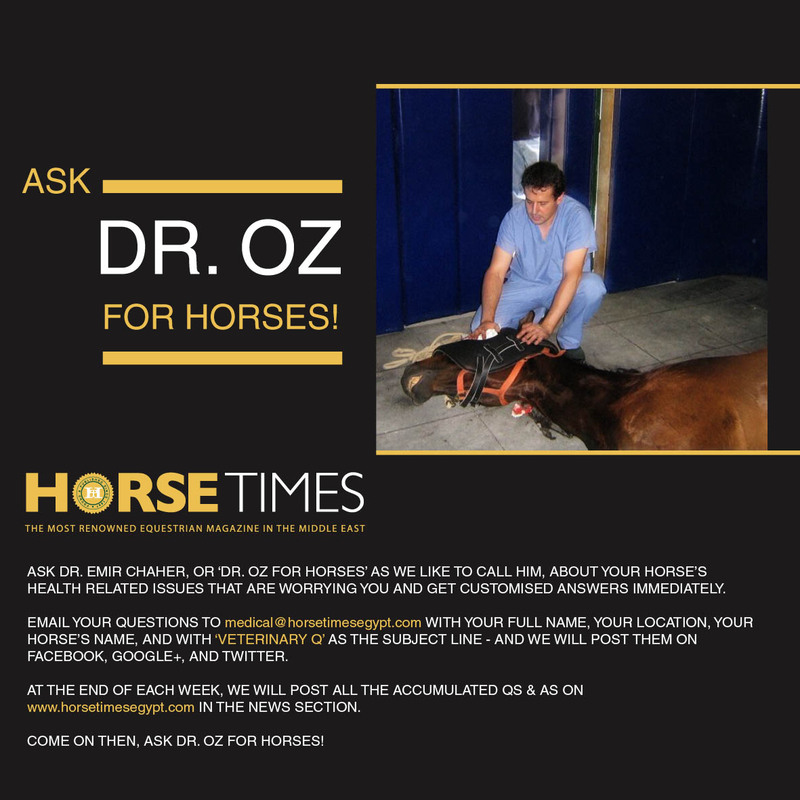 Oz for horses’ as we like to call him, about your horse’s health related issues that are worrying you and get customised answers immediately. Email your questions to medical@horsetimesegypt.com with your full name, your location, your horse’s name, and with VETERINARY Q as the subject line - and we will post them on Facebook, Google+, and twitter. At the end of each week, we will post all the accumulated Qs & As on www.horsetimesegypt.com in the news section. Come on then, as Dr. Oz for horses!